With the fall TV season almost upon us, I still haven’t completely accepted the fact that “Downton Abbey” will no longer be on the air. Rumor has it that Julian Fellowes is now considering a movie version of it. Hm. Speaking of shows no longer airing, is there anyone out there besides me who enjoyed “Limitless” last season? Obviously not. My new part-time job is only eight hours a week. Does that mean I’m not allowed to utter “TGIF” anymore? Hugh Grant and Meryl Streep are really great in “Florence Foster Jenkins.” I highly recommend it. Now, if only JustMeMIke will review it already on his arts blog so I can write a comment! Speaking of bloggers, there’s a woman in Texas who never fails to make me laugh at the sorry nature of this current election. Check out TexasTrailerParkTrash’s hilarious I Tried Being Tasteful. Remember when news anchors all looked like your high school social studies teacher? Neil Young believes that all rock musicians have a common denominator of being either the Beatles or the Rolling Stones in their chromosomal makeup. So extending that to mere mortals like ourselves, which one are you? I would have to be the Beatles. Speaking of musicians, my friend Heather received a marriage proposal from her drummer boyfriend in the manner absolutely best suited for a rock ‘n’ roll man. You gotta love the lead guitarist wiping a tear from his eye afterwards. Check it out here. Congratulations, Heather and Glenn! 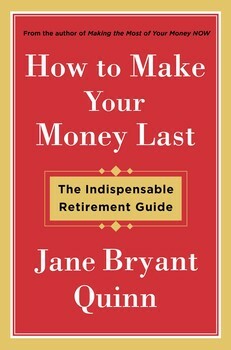 For those of you of a certain age, if you read only one book this year make sure it’s Jane Bryant Quinn’s How to Make Your Money Last: The Indispensable Retirement Guide (2016 Simon & Schuster). The chapters on Social Security and Medicare alone are worth the purchase price (FULL DISCLOSURE: I borrowed it from the public library). The absolute worst song in the history of recorded music? Hands down it’s this one. I can’t imagine ever asking a celebrity to pose for a selfie. 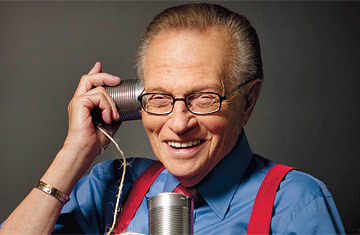 Remember when Larry King regularly wrote a column for USA Today that was exactly like this post? I used to mock him relentlessly for that. Larry, if you’re reading this, take your best shot at me. I deserve it. Let’s hope actual writing cells will once again inhabit my brain soon. I used to read the Kiplinger Letter. It was a folder with short clips like this on what was going on in the world (mostly that affected finance). I loved it. It fits my attention span and so does your post. I checked out trailer park trash and she’s hilarious! I’m terrified to read Quinn’s book. Supposing I find out now that I don’t have enough money? Do I unretired? For no inspiration you did good! Thank you! I got something similar to Kiplinger for many years called “The Bottom Line.” Same idea, I think. No, read Quinn’s book — at worst you’ll perhaps make some adjustments, but in fact you might even feel validated for the decisions you have made. And her chapter on Medicare is worth it because situations change. Don’t unretire! Definitely NOT going to unretired! Hilarious! And…OMG…the worst song ever recorded is on my iPod. How the hell it got there, I don’t know. I think my son played a trick on me. I can’t get rid of it but I can ff through it. Thanks for the shout out about my blog (I Tried Being Tasteful)! Much appreciated. And I feel your pain about the elliptical at your gym. Only mine is in the direct line of sight of the one that’s ALWAYS on Fox News. Ugh. Loved the bacon quote, too. My husband does the grocery shopping for an 87-year-old lady friend who takes all kinds of meds. for blood pressure, diabetes, etc. Her shopping list is always full of high fat, high sodium items like that. The pharmacy loves her. She’s one of their best customers. OMG. “I’ve Never Been to Me” used to be continuously on the radio in the dental office where I worked as a dental hygienist in the ’80s. It’s a wonder I didn’t go on a rampage and start stabbing people with my sharp, pointy instruments. Great. Now that earworm will be rattling around in my brain tonight at 3 am. Your blog never fails to make me laugh! A needed salve for this year of electoral insanity. Thank you so much for your contribution to sanity. 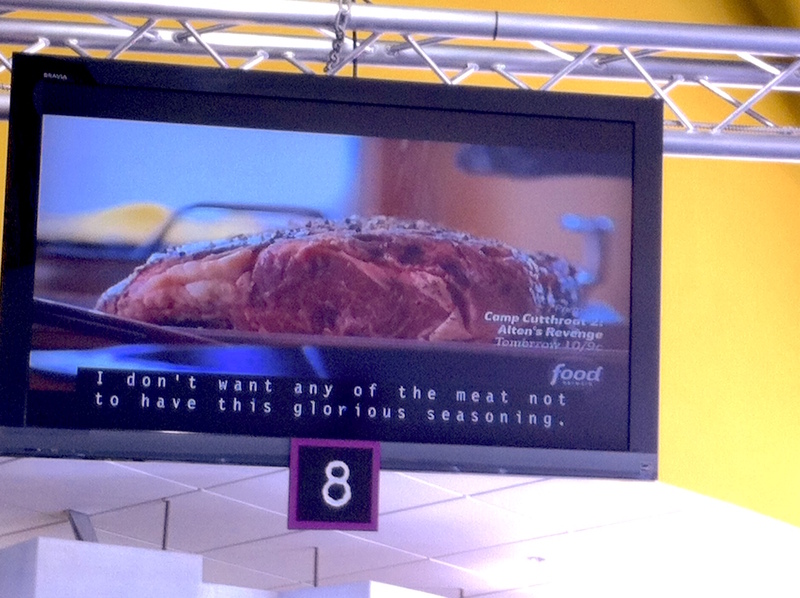 Re: The gym TV’s. I didn’t want to expand beyond my attempt at being concise, but the actual REASON for my choosing that specific elliptical is that it is *not* the one in front of Fox News. I go to the gym to LOWER my blood pressure, not raise it! Thanks for stopping by… and please continue to keep us all sane with your hilarious posts. Ride that writer’s block wave until it crests. Don’t force a post. It’ll look forced. It’ll make blogging a job. Who needs another job? Not me. Beatles. Always Beatles. And I disagree about the worst song. As bad as that song is (and it’s bad), anything, ANYTHING, by Air Supply is much worse. Air Supply: the soundtrack for spineless men and people who hate music. Wow… Air Supply. I completely forgot about them because… well, I’ve managed to not THINK about them for at least 30 years. Talk about bad earworms. The funny thing about Neil Young is that while *he* considers himself “Rolling Stones,” he feels CSNY are “Beatles.” I think you’re definitely right that forced writing looks forced. I have enough of them as proof already. 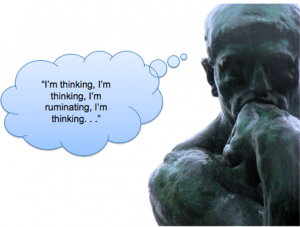 For someone with writer’s block, you did pretty well with this post! I made the mistake of clicking on your worst song click bait… arrrrrgggg! Must destroy the ear worm! That’s got to be the worst “music” video too. I’m a big fan of I Tried Being Tasteful also (I wonder if I found her through your blog?). I hope you can finish your two posts but, in the meantime, keep the droppings coming. The ear worm was supposed to be a diabolical ploy on my part, but I’ll have you know it ended up rebounding back on me this morning. I ended up humming that damn song till at least the noon hour! You may have encountered “I Tried Being Being Tasteful” through either Kate or Elyse. I’m fairly new to following here — she’s terrific! Never worry about writer’s block. No posts arrive before their time. Sometimes the opposite situation comes into play – that’s when you head off to bed, and no sooner does your head hit the pillow, then you’re composing a blog post in your head instead of sleeping. As far as Florence Foster Jenkins – I took on the challenge. I drove up to Hilton Head Island and took in the film today. (That is after reading your prompt above). The review is up and ready for yor comments. Nothing like making a review request! Thanks, Mike. I look forward to reading it. Yeah, I definitely agree with you about posts. You can’t force ’em out. Sometimes inspiration comes when I’m at the gym or on a walk — exercise seems to inspire me for some reason. The two posts I have in draft I should probably just delete because I don’t think I can take them any further, and they probably failed because I forced them.